It’s a wild, electric phantasmagoria of blues, rock, garage, and soul; it blasts off into diverse orbits only to come back together into a singular Savage cosmology. Whitfield has a voice as big as Texas, a true soul shouter who convinces with every word, and he's a thrilling frontman for this crack band that can just burn down a stage with their playing. That kinetic energy and force is miraculously captured on Soul Flowers of Titan. It’s their best by a long way, and one of the finest, purest rock n soul records you will ever hear. The album is of the highest order with songs that make you want to rip off your clothes and go screeching across the dance-floor. It’s music you would expect to hear in low down dirty dives, in the area of town your mother told you to stay away from. This is music that shakes and excites, that throws the listener about and leaves them drained – but in a good way. Unashamedly excellent throughout. 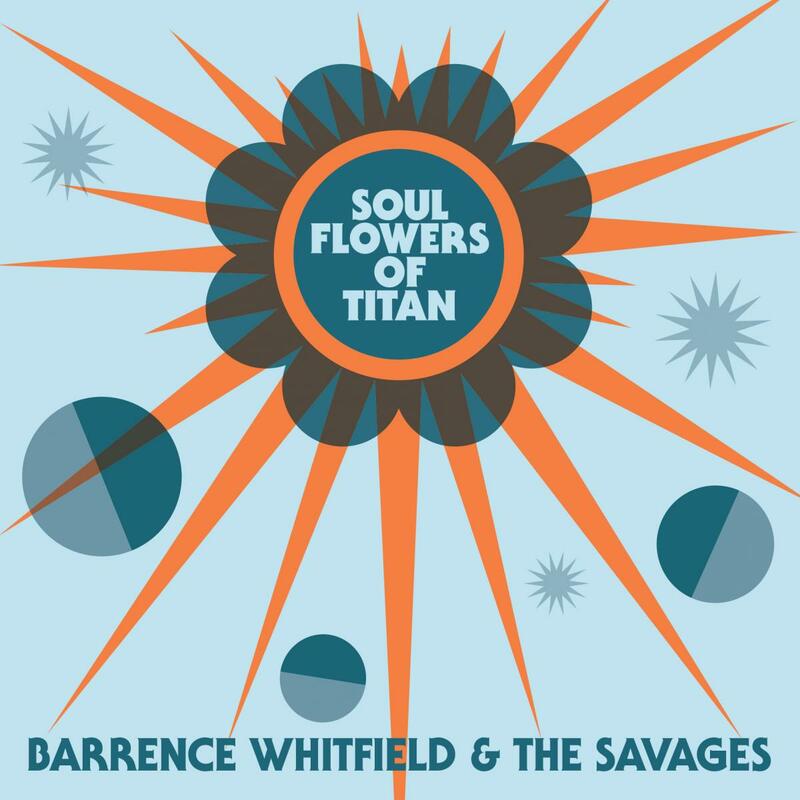 That mystical marriage of funk, soul, blues, and roadhouse rock ‘n roll coming from Barrence Whitfield and the Savages is exactly what you need right now...Somewhere out there, R.L. Burnside and Howlin’ Wolf are both smiling in appreciation. Whitfield brings rock and roll and way back to it's origins in the 1950's. It's a reckless, filthy sound that is just about perfect. There's also a touch of a punk menace in there, but there was plenty of menace in 1950's rock and roll, too. Barrence Whitfield & the Savages reinterpret Captain Beefheart’s “Zig Zag Wanderer” and Chronics cover 13th Floor Elevators' “I’ve Got Levitation." Both songs mixed by Afghan Whigs' John Curley.